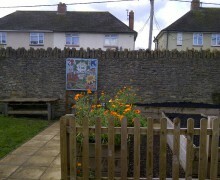 Ecos Court is an estate in Frome with very little open space for children and young people. 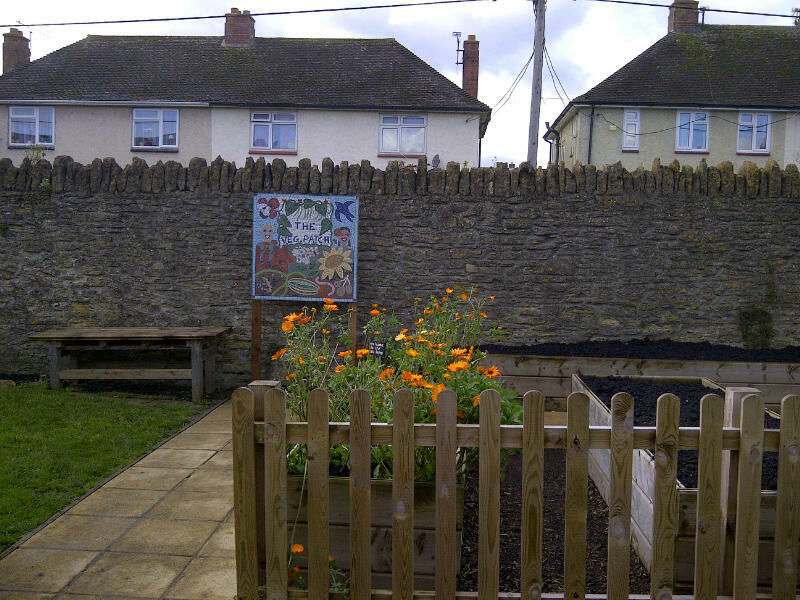 Knightstone have created a community vegetable garden for everyone to enjoy. We were invited along to serve brews during the unveiling of a mosaic created by local children. It was great to see the local community making use of what was previously an unused and deserted space. With the help and funding from Knightstone they have created a sustainable vegetable supply and a way to practically educate young children. Cedric did us proud and got us there and back safely, his longest recorded journey to date!